The community of Estero is located in Lee County (FL) between the cities of Fort Myers and Bonita Springs. A new Village of Estero was formed by vote of the electorate in November 2014. Spikowski Planning assisted Seth Harry & Associates in conceptual planning for future mixed-use development in Estero. This work was commissioned by the Estero Council of Community Leaders (ECCL) in cooperation with members of the Estero Community Planning Panel and the Estero Design Review Committee. 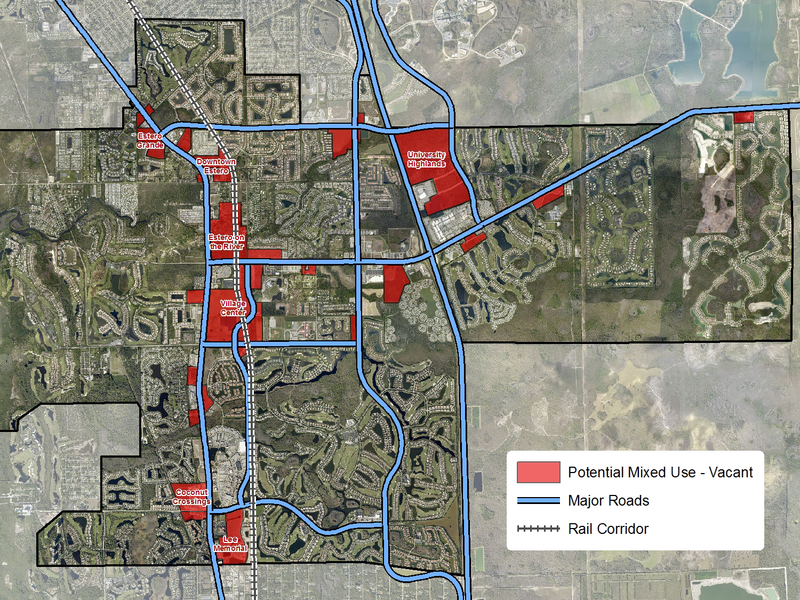 Estero residents, property owners and stakeholders all contributed to this planning process, which resulted in recommendations for compact, walkable, higher-density neighborhoods in a mixed-use Village Center and a separate Healthcare Village, both offering convenient access to shopping, entertainment, and services.